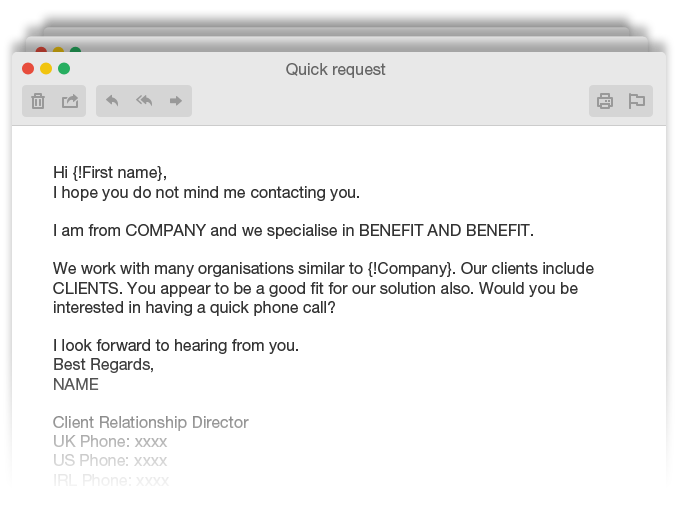 These are the 5 cold emails that generated all our B2B leads last year. Tested and developed over the course of a year you can download the 5 email templates to generate your own leads. Includes a bonus report template to track your success rate!